This page contains all the tips and tricks you will need in order for you to gain an advantage and knowledge in playing the Destiny 2 Crucible Supremacy. Destiny 2 Crucible Supremacy is a game mode that is won by the team that has first accumulated 50 crests from the opposing team. The game only has 8 minutes and failing to procure the 50 crests will result to awarding the win to the team with the most crests. In order to procure a crest, one must kill an enemy guardian. After successfully killing an enemy guardian, they will leave behind their crest which you can take. Bear in mind that you can take the crest of your fallen ally and prevent them from earning a point. 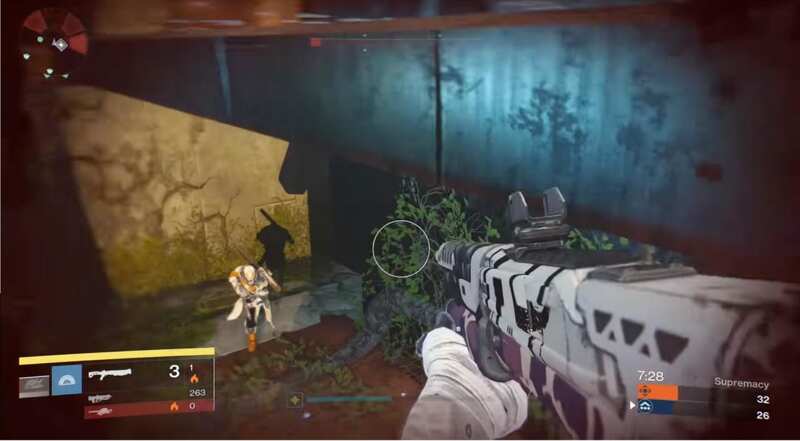 All game types of Crucible have Power Ammo that are located on both sides of the team and one at a neutral location, including the Destiny 2 Crucible Supremacy. Procuring these power ammo will prove to be very helpful later on in the game. The neutral power ammo can be taken after 20 seconds since the game has started. Once either of the team takes the neutral power ammo, it will no longer respawn and such you must immediately take it as it will provide an advantage for your team. As you need to take the crest in order to score in Destiny 2 Crucible Supremacy, just simply killing an enemy and taking it might prove to be quite difficult. This is because enemy teams are aware that you need to take the crest in order to score so they might either guard the crest or take it for themselves. Always be mindful when taking a crest and grab a guardian buddy to watch your six. This is to ensure that procuring it is always secured. As you will be wary of taking a crest, so must your enemy. You can try to lure out your enemy into taking your ally crest and then kill them in return. With this, you did not only prevent a point, but earn one as well. Just be sure to have an ally scout you as well so you can overwhelm the enemy when the crest drops start to stack!